Business stakeholders need better planning, insight, reporting and compliance. Why Oracle is a leader in Enterprise Performance Management. 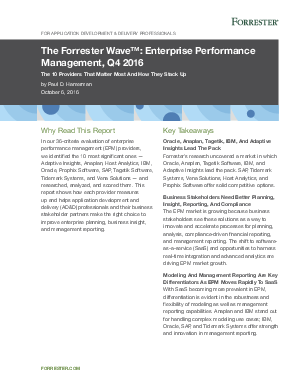 Modeling and management reporting are key differentiators as EPM moves rapidly to SaaS.